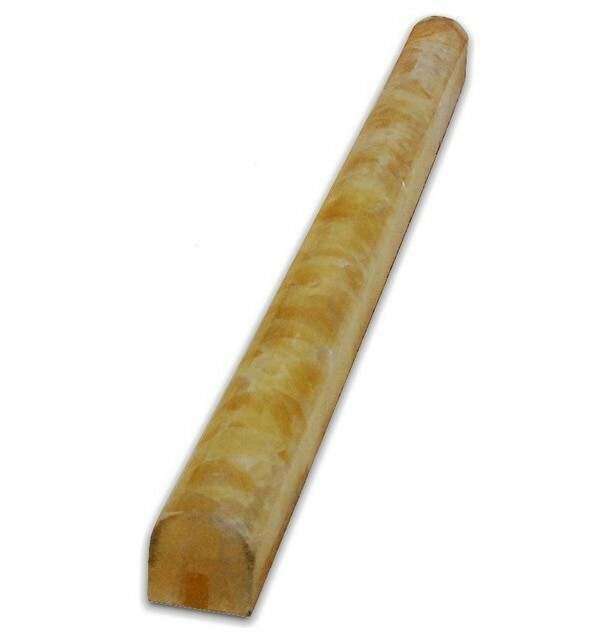 Size : 3/4" X 12"
Honey onyx 3/4 x12 pencil decorative molding bullnose trim.This Polished Chair Rail Tile is constructed from durable, impervious, translucent, Onyx material, comes in a smooth, high-sheen finish and is suitable for installation as bathroom backsplash, kitchen backsplash in commercial and residential spaces. This beautiful onyx tile features a random variation in tone to help add style to your decor. Tile Size: 3/4 in. X 12 in. Newark, NJ Warehouse. Please call to make pick up appointments.